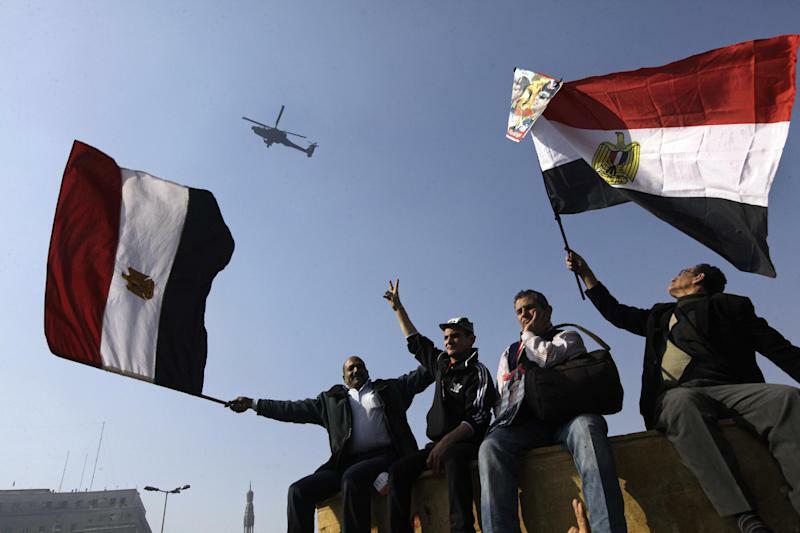 CAIRO (AP) — Egyptian riot police have fired tear gas to disperse hundreds of supporters of ousted Islamist President Mohammed Morsi protesting as the country marks the third anniversary of the 2011 uprising. Sounds of gunfire were heard in Cairo's central districts Saturday as Islamist protesters rallied to mark the event and denounce the July 3 military coup against Morsi. 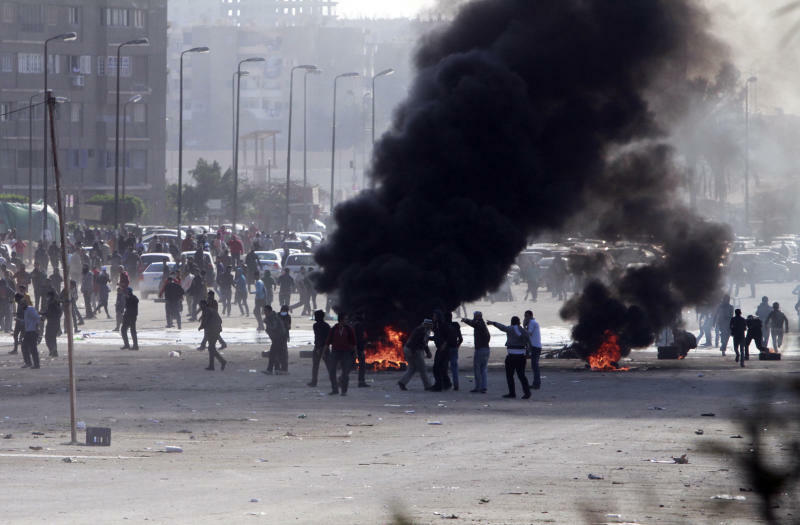 Protesters hurled stones and firebombs at security forces in several districts. One protest group, Students Against the Coup, led by supporters of Morsi's Muslim Brotherhood, called for unity with other youth groups to "struggle against a fascist and oppressive military dictatorship." Supporters of the military gathered in rival rallies in other parts of the capital, many of them urging military chief Gen. Abdel-Fatah el-Sissi, the man who removed Morsi, to run for president. 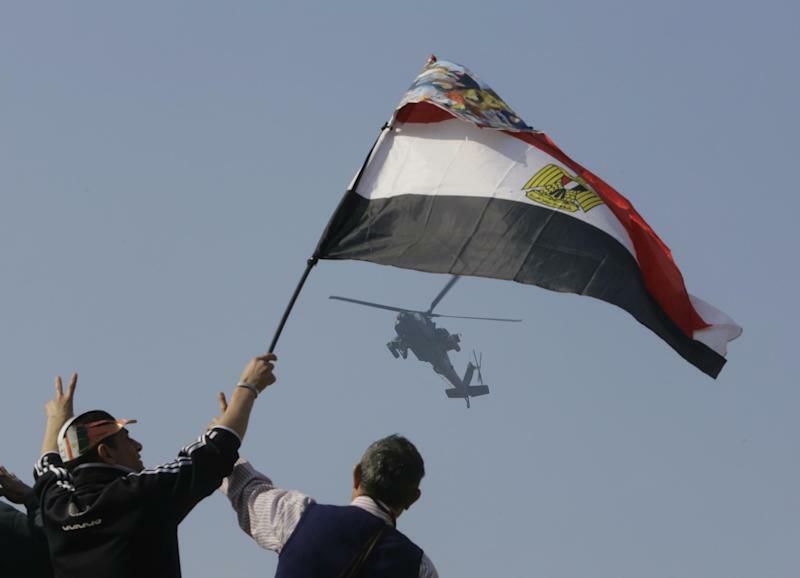 Spokesman of Egypt's military says an army helicopter crashed and its crew is missing in the northern Sinai Peninsula, where troops are battling Islamic militants. Col. Ahmed Mohammed Ali says in a statement that the accident took place early Saturday near the village of el-Kharouba village. He provided no further details on the cause of the crash. The Egyptian military has been waging operations for months in the northern Sinai to uproot Islamic militants who took hold of several towns and villages in the aftermath of 2011 uprising. Sinai-based groups intensified their militancy after the ouster of Islamist President Mohammed Morsi on July 3 military coup. One group, Ansar Beit al-Muqdis claimed responsibility for a series of bombings in Cairo Friday that killed six.